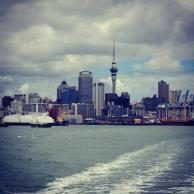 Blog from Auckland, New Zealand | Hello World! Another fairly late start this morning but decided we need it when considering the schedule for the next three weeks! Sun was out again so Kate had another ice cream (the best ever apparently!) and we took our books and sat in a large square where there were some trees for shade. I decided I needed to get a new book as not much of mine left to go so got a cheap one...hopefully I'll have enough room in my case to carry 2 around with me for a couple of days! 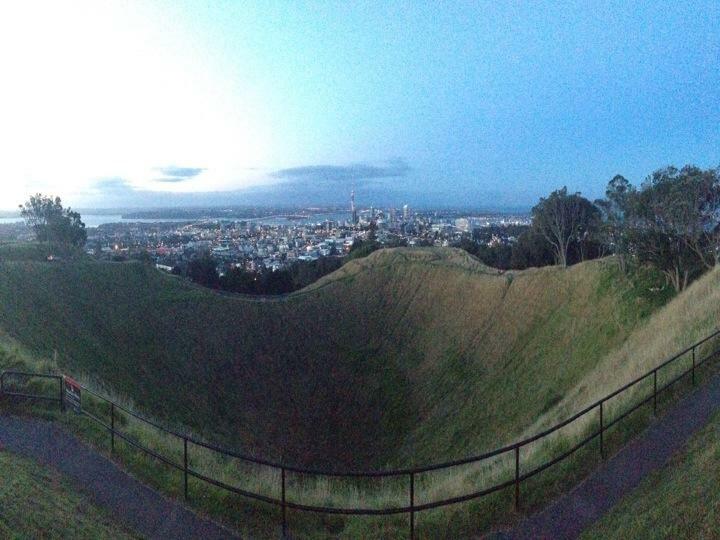 This evening we climbed up Mount Eden which is an old volcano that sits just behind the city of Auckland. People in the hostel had told us to go for sunset so off we went and timed it perfectly...had we been much later we would have missed it! 360 degree views around the city and an absolutely huge crater in the centre. Got the bus back to the hostel to get our things packed for tomorrow - somehow managed to take a bus that went a very long way around and visited every suburb in Auckland! It had a tv screen in the bus which had a GPS map which showed you exactly where you were though which was cool.